If Apple made products that took advantage of every piece of technology that it ever put before the United States Patent and Trademark Office, then the company’s already often-confusing product lineup would just be absolutely out of control. Just because Apple has a patent for it, doesn’t necessarily mean the next iPhone or Mac will feature it. It’s with this state of mind that we tell you of a patent that Apple applied for a while back, which is essentially for a color 3D printer. 3D printers already exist, of course, and Apple’s promises to make objects with different colors too, thanks to its additional inkjet-like technology. That’s if this printer ever makes it to market, of course. Apple did make a printer back in the day, but hasn’t sold one since before the turn of the millennium. 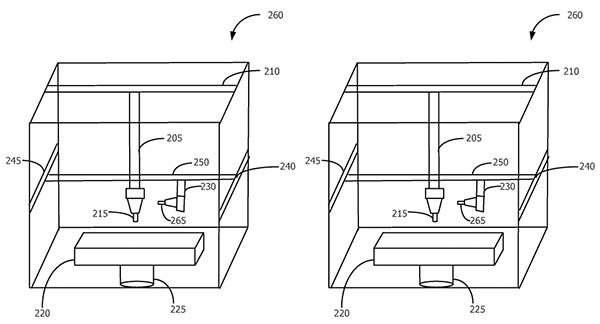 If it does reverse that tradition, based on this patent, the 3D printer it will sell could be quite the piece of kit. In addition to a primary print head that forms the actual objects out of multiple layers of a material like plastic, the printer would feature a second print head to make those objects in just about any color desired. That alone is pretty cool, but we wouldn’t get our hopes up just yet. We think it’s more likely that this patent is for something that Apple uses in-house itself. 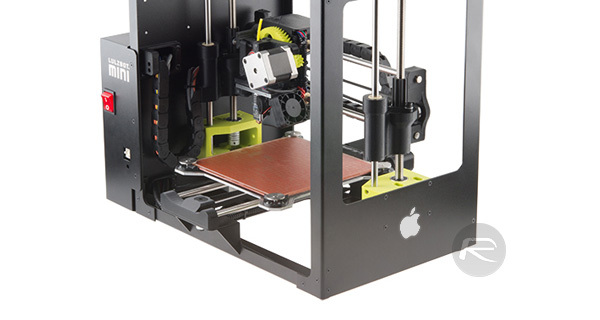 We already know that Apple uses 3D printing to create prototypes when working on new designs. and it’s likely that Apple also has a hand in making the machines that it uses along the process of making those designs into physical objects. Based on that, we think this patent is much more likely to be for something Apple uses in Cupertino than something that will ever see the light of day in an Apple Store. But you still never know!